LABEL THE CORRECT PARTS OF THE BODY FROM THE LIST. ARRANGE THE JUMBLE WORDS CORRECTLY. Very useful for exercise and test. This downloadable printable is meant for elementary school students and kindergartners and nursery school students at Beginner (pre-A1), Elementary (A1) and Pre-intermediate (A2) level. It is useful for developing your class' Spelling, Reading and Writing skills. 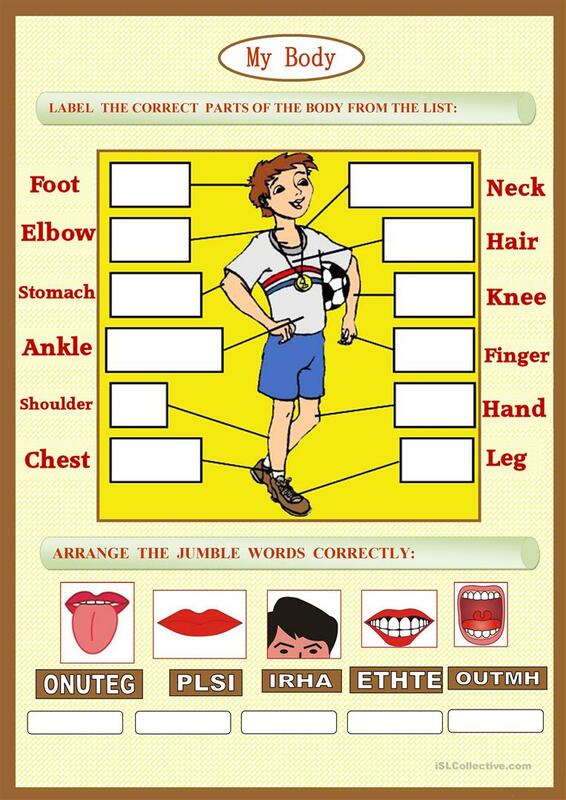 It focuses on the vocabulary topic of Body.